I have spent this week in retreat in what some might call a Motherhouse, but here in outer South-west Berlin, they call it a Heimart Haus – a home. Think of four stories, including basement, the size of the old Goodwood Orphanage – quite a home! These are places where, in days gone by, single women lived together in a ‘sisterhood’ of support. Many were nurses. They live lives caring for others, the story of the Good Samaritan being their guide. Florence Nightingale was said to have been influenced by them. Sandy and I are living in a refurbished second floor room while she attends meetings of the World Diaconate. 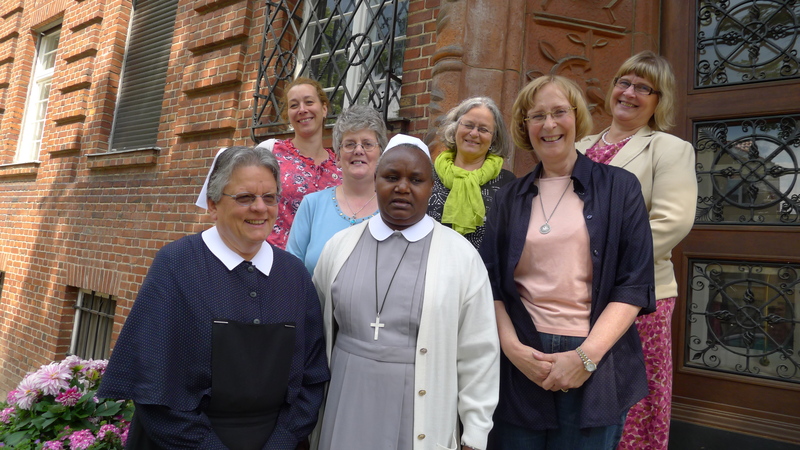 The photo shows some of these Deacons – from Germany, Switzerland, Finland and Sweden, England and Africa. I am using the week for writing and reflection. Today I had a conversation about the church and the state with a deacon. One of her comments was that the church had to learn to be a guest in the world, to overcome its tendency to want to push itself on to others. I thought this was relevant to our thinking about hospitality. So I wonder what qualities and behaviours make a good guest? And how might they be any different to being a good host? A good guest knows when it is time to move on, and does not outstay their welcome. Hospitality is a ‘grace-full’ dance in which both parties acknowledge the need for the gentle to and fro of giving as well as receiving.